WELCOME TO THE CLARE COUNTY FAIR! THE LUMBERJACK FESTIVAL IS HERE!!! Grand Rapids ‑‑ For those that want to play Big‑Time division 1 college softball, they must do something so unbelievable that everyone starts to talk about them. They need to be explosive on the field, possess a demeanor of a confident expert, bring out the best in their teammates. And that’s just for starters. A player needs to be astonishing great. Then the elite college teams may ask questions about who they are and where their from. Well, their asking. College scouts are in a frenzy when the subject is about the Michigan Gold Rush ‑‑ And in particular, Harrison’s Allison Lipovsky. Lipovsky defied all odds from the pitching circle once again this weekend. Although the defense played awesome behind her all tournament, her sheer ability to keep the ball from being hit was amazing. Through her first 30 innings pitched this weekend, she held opponents to no runs on four measly hits and only allowed eight total base runners. Just one base runner reached second base in her first five games on the mound. She struck out an amazing 79 out of 135 batters faced on the weekend through 37 innings. Her ERA was 0.76 and opponents batted just .111 against her. And this is against the best players in the state. Holy Cow … the scouts are not only talking ‑‑ they are drooling. Lipovsky, who is just 11 months removed from ACL surgery to her right leg following a volleyball injury truly amazed. “Allison was lights out on the mound. Going into Sunday (after five games) she had struckout 71% of the batters faced and the opposition look completely baffled and confused in the batters box. They couldn’t even get down bunts successfully,” said Gold Rush coach Jamie Lipovsky. “Other teams like Compuware also sat in the bleachers and watched. I think they watch because of the way we play ‑hard, aggressive and with a lot of heart. I know that I have my girls watch games when I want them to see how a great team plays, responds to adversity, and holds themselves on the field. I hope that is what others think when they watch us,” he said. Allison brought out the best in her team. The Gold Rush followed up five straight top 10 finishes in previous tournaments with a blazing 4‑0 start in pool play, allowing zero runs in the process and claiming the #1 seed going into bracket play. That’s right ‑ they claimed the #1 seed out of 50 class “A” ball teams going into Saturday’s bracket play. According to the promoter, no other team has blanked all opponents thru pool play. That’s quite an accomplishment from a northern Michigan team going against larger organizations down state. The Gold Rush started with a 3‑0 shutout of Great Lakes United who were coming off a #2 finish at ASA states in the B division. They followed that with a 8‑0 five inning mercy of Browns Fastpitch out of Kalamazoo. Game three was a 7‑0 shutout of the Saginaw Bay Riverdawgs and they finished pool play with a 10‑0 mercy over Hangtuff from the Parchment area. Bracket play started with a 2‑0 no hitter over Hangtuff from Lansing and at 5‑0 the girls advanced to Sunday yet once again. 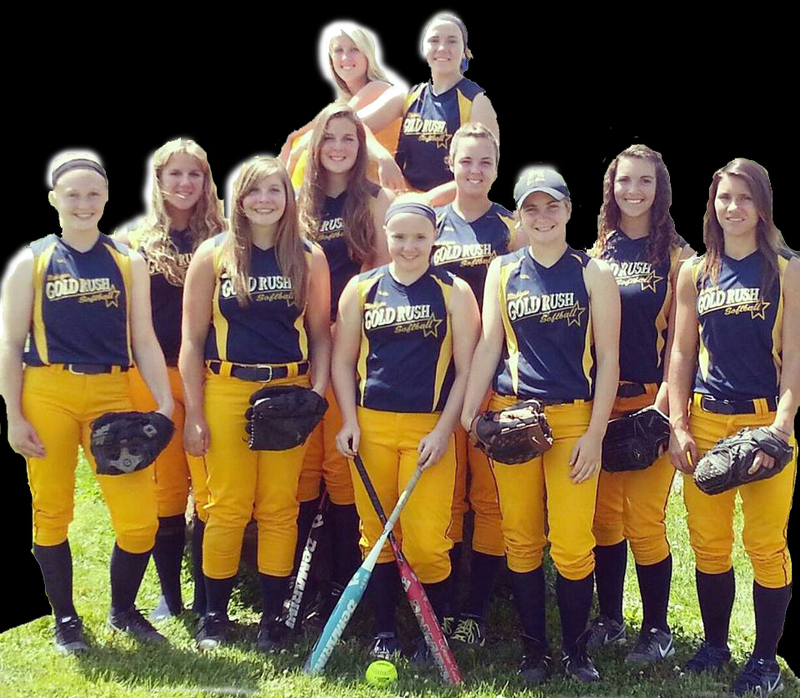 On Sunday their scoreless streak ran out vs the Michigan Rage from the Downriver area, but the Gold Rush battled and pulled out a 8‑6 victory to move on to the final 8. That is where their luck ran out as they fell 5‑0 to the Elite. With only the Eastern Nationals in Ohio left the Gold Rush stand with a 35‑11 record on the summer going six for six in top 10 finishes. Dudley Farms, nestled into fire tower hill, on Farwells’ west side is home to 1 dog, 1 cat, 70 hens, lots of fresh vegetables, and 4 humans. Beginning in 2013, Alyson retired from her position as an organic fertilizer sales woman, and began her dream job as mother and home maker. She thought she may be lonely raising a 5yr old boy, and a 4 year old girl, so she ordered chicks. A lot of chicks. Eventually those chicks grew big, and began laying little brown things that needed to be sold. So Alyson packed up her children Micah and Sophia, gathered her eggs, and headed to Farwell’s Art, Craft, and Farm Market. What a summer!! “As I was sitting there waiting to sell my eggs, I began to think of potential sales items that weren’t being marketed there. My wheels started turning, and ideas kept coming,” says Alyson. She picked a few good ones to implement this year, and keep her children involved. 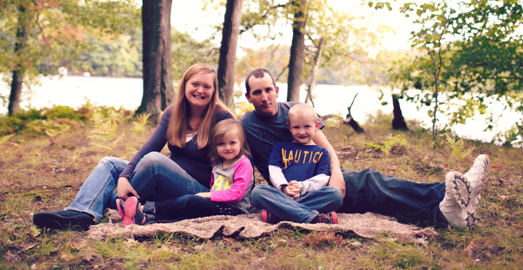 “My children need to know not only the importance of good food, but also basic economics, and a sense that hard work really does pay off.” If that concept gets through, Alyson feels she will have made a difference in their lives, and succeed as a mother. Sophia, who is now 5, will be setting up her own table, and selling handmade soap. The bar soap is derived from different natural oils, and scented with essential oil. “The neat thing is you can read everything on the label!” Dudley says. Micah, now 7, will be selling maple syrup that he helped his grandpa make this spring. The countless number of trips out of the woods with buckets of sap to be boiled into a tasty treat will soon be paying off. In addition to the soap and syrup, Dudley Farms will also have some fresh vegetables, angel food cakes from scratch, and if the weather co operates some fresh raspberries. The eggs from the farm come from Isa Brown, and Rhode Island Red chickens. The chickens are fed a genetically modified organism free (GMO free) feed. Although it is not quite organic, its the next best thing, and comes from sustainable farming systems. The eggs can be found at the farm market, or at their farm in Farwell. A pink roadside fridge is open 24/7 for your convenience. 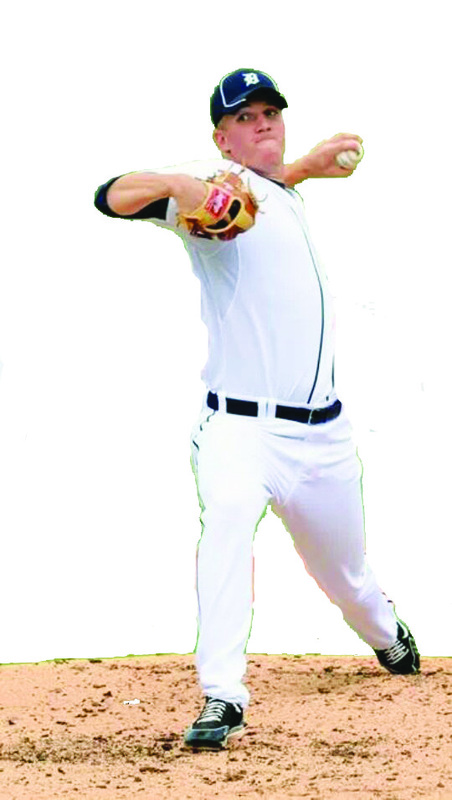 Lakeland, Florida ‑‑ Beaverton native Ryan Longstreth keeps rolling for the Lakeland Flying Tigers. In 10 appearances this season, Longstreth has pitched 21 innings and owns a fine 1.71 ERA ‑‑ only giving up four earned runs while striking out nine. Opposing teams are hitting a flimsy .192 against him. The left hander last pitched on June 29th and has been used in short relief this season. “We had wanted to stretch him out a bit (have him throw more innings per game) but he has been so effective in a specialty role … we may want to keep things like they have been. It’s not easy finding a left hander that can come in and throw strikes to record valuable outs when the game is on the line. That is exactly what Ryan has done for us,” said Lakeland manager Dave Huppert. 4th of July Celebrations in Clare County! Clare County has a lot of fun things in store for residents and visitors alike. From the traditional fireworks displays that Americans have come to expect to cowboys taking over downtown Clare, there is a little bit of old and new events taking place in Clare County this 4 of July holiday. Harrison will be hosting fireworks through the Chamber of Commerce on July 3 at dusk following the Demolition Derby. The Derby will begin at the Grandstands at 7 p.m. costing only $10 for adults and $5 for children 5 and under. 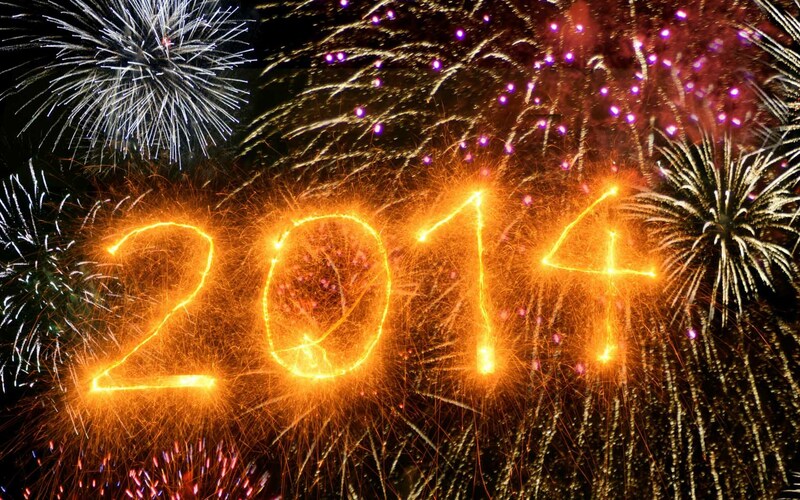 The fireworks will be set off after the event. Setting the fireworks off from the Grandstand’s open field makes it easy to see the display from many locations throughout Harrison. On Friday July 4 the annual 4th of July Parade will take place with line up starting at 9:30 a.m. and the parade starting at 11 a.m. Lineup is at the fairgrounds. The parade will leave the fairgrounds, travel east on Fairlane then go south onto N. Clare Ave. turning west onto M-61 hen north on Westlawn and back to the fairgrounds. Entry into the parade is free. For more information you can contact the Harrison Chamber of Commerce at (989) 539-6011 or email at http://www.harrisonchamber.com. Farwell 4th of July celebration will be Saturday, July 5 at the Farwell fairgrounds. Starting at 7:30 p.m. the U.S.A. figure 8 derby will be held with fireworks to follow. You can visit www.usademoderby.com for more info. The Farwell Farmers Market will also be hosting a scavenger hunt on Saturday, July 5 starting at 10 a.m. Each participant will receive 10 goodies from ice cream, free bowling, school supplies, for adults and children. Clare will be a buzz with Wild West activities and music in the park. Thursday, July 3 the Harpers will be playing at the City Park from 6 to 8 p.m. as a part of the summer concert series put on by Clare’s Parks and Recreation Department along with local businesses. After a night of music, wake up on Friday, July 4 and go back into the Wild West because it is coming to downtown Clare. The Lone Ranger, John Wayne and other famous cowboys will be bringing robbers to justice throughout the day and there will also be free reigning demonstrations by Rob Petree and Farrah on 4th Street at 10 a.m., look for them next to the Depot. There will be a buckaroo contest at the Clare City Park at 11 a.m. where boys and girls can dress up like cowboys and cowgirls to win prizes! The age groups are: ages 1 to 3, 4 to 6 and 7 to 9 and a boy and girl from each age group will be chosen as the winners! The Clare County Mounted Police will be giving a crowd control demonstration on 4th Street at 4:30 p.m. Cowboy Fare will be provided by the Minor Diner at Clare City Park. 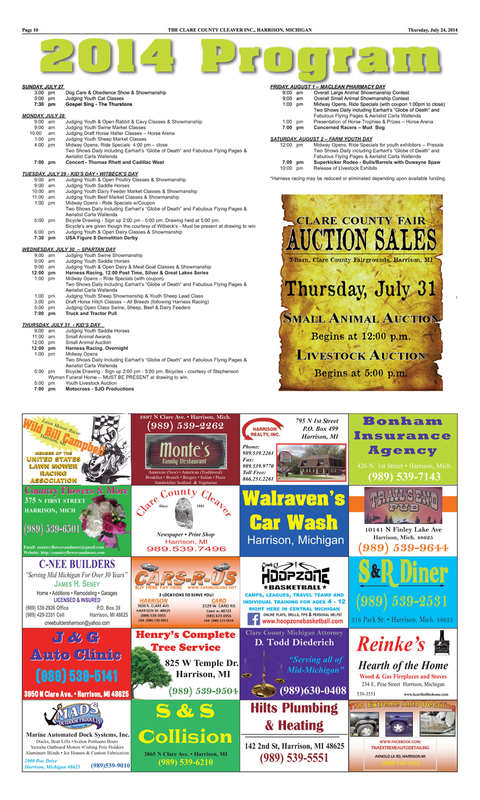 For more information on these fun events and more, contact the Clare Area Chamber of Commerce at (989) 386-2442 or visit their website at www.clearlyclaremi.com. There is plenty of fun to be had this holiday season between the three major cities of Clare County, so bring your lawn chairs, friends and family up to the playground of the north and enjoy some traditional 4 of July fun and try something new!